As part of my partnership with L’Oréal, they flew me to London for a shoot for Colorista, their new semi permanent hair color that comes in a wide range of awesome fantasy colors [pastel pink, lavender, etc] that actually does create color results as well as washes out! Great for a temporary style change, either for an event, a party, or a trip! 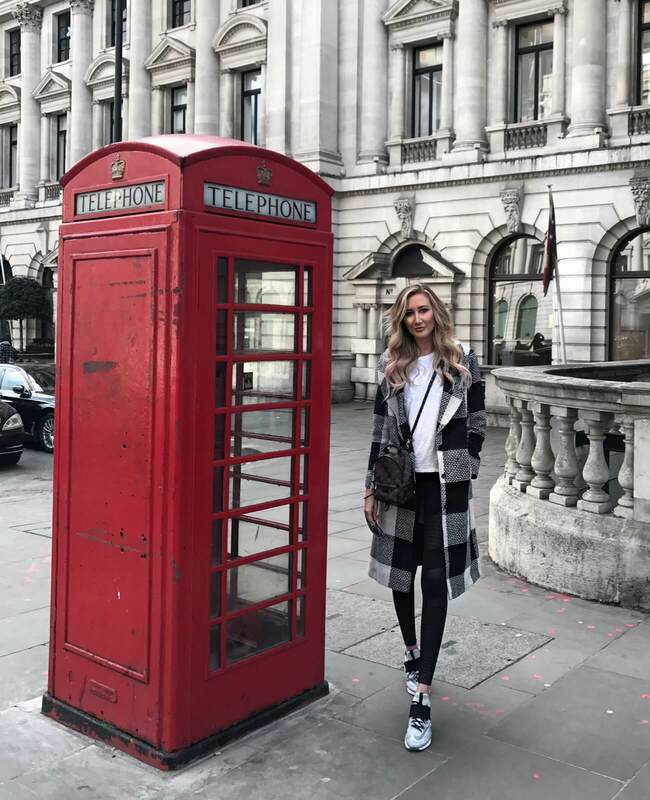 London is one of my favorite places! That coat definitely reminds me of London! This coat is gorgeous and so you! Absolutely love your hair long! The extensions look so natural on you! !